"Deltek Vision Timesheeet and Expense"
The platform for Deltek vision is a bit old school and could use updating. It does not allow for customization to choose what screen you see first. Make sure to have your project managers input all information for each project that way it is easy to find what you're looking for. Deltek Vision allows you to organize and manage all of your projects expenses and accounting. It has made tracking resources very simple. I love that this is a project based solution as well as the ability to customize the product. Our set up is a bit different, we have a lot of customization which sometimes affects the software's performance, but this is our own doing so we can't hold it against the product. The fact that it can be customized is a plus, the downside is you have to upgrade the custom(s) every time you want to upgrade or even apply the a CU. They are phasing out Vision and heading to a cloud based solution, something to keep in mind. A project based accounting system, with timesheets, reporting and contact management. One area we have just started to utilize is project planning, and it has been very helpful so far to those that have started using it. An integrated planning module saves time and makes it easy to use. "Could be more robust and agile"
No historical tracking (original dates are lost on rehires); the multi-country aspect isn't fully robust (annual salary still appears to reflect USD despite local currency, without conversion); Time/Expense group setup is arduous and complicated, easy to mess up, not easy to update en masse; benefit hours piece is not nearly as agile as it should be to allow for complex plan designs; when updating EE Info, there should be a wizard that prompts or auto-updates related items like Labor Category to maintain consistency throughout org. Be sure to thoroughly road-test before any upgrade in Vision and plan your project implementation accordingly with plenty of time for testing! Also, do everything you can to locate current companies using Vision that are similar in nature to yours in terms of the features you currently need / plan to use in the future to get their direct feedback on functionality before making a switch to Vision. Deltek Vision's custom proposal module and government forms modules shaves hours off of proposal preparation. Because Deltek Vision is the "source of truth" for our employee history and project history we are able to easily and quickly pull information from Vision onto proposal templates in minutes. Pulling information from a centralized repository gives our users confidence in the data, employee updates/feedback are made one time (in Vision) rather than every time a new proposal document is put in front of the employee, and gives our marketing professionals the extra time needed to craft the proposal to meet the RFP and client requested information. We use Deltek Vision to support our Strategic Plan goal for company growing and win more work! The current system view is outdated. The newest version of Vision is being rolled out in waves over 2018 and is an updated browser agnostic application. I am looking forward to the dynamic features of the newer system. We have the CRM and Proposal modules only so we have had to develop system integration with our non-Deltek financial management system. Deltek Vision helps us market smarter - giving all our staff the information they need to sell our professional services. Have we worked for a specific client before? Yes, on what jobs? Who were the team members on that job? Are there additional team members who have a relationship with the client? What opportunities have we proposed on for this client? Did we win or lose the proposal submission? What is the stored activities for clients, contacts or opportunities? Project histories (from a marketing perspective, not project resource management) and managing our employee data -- who is licensed where, degrees, years of experience, what jobs did an employee work on, how many hours charged, what was their role ... the types of information we need to know to market our company smarter and ultimately WIN MORE WORK! "Extremely useful database, not so user-friendly"
The sheer amount of customization of this program is amazing - my firm can track tons of information and cross-reference it in multiple ways to keep all of our ducks in a row and coordinate our efforts. It also makes timesheet and expense report management pretty easy. The user interface is extremely difficult to get used to, such that there are tons of people in my organization who will email me, a familiar user who likes the program, to do basic searches for them because they'd rather not deal with it. The main thing that is not intuitive is its search function, which is critical. You have to put a ton of effort into learning the interface. Make sure you have someone go to trainings/conferences for this, so that you can have a "super user" available to help those who struggle to figure out the program. We have been able to coordinate marketing and business development efforts across offices with dozens of people due to having all our historical client information in one place. "Great Platform for Our Business"
We have a large amount of program codes, reporting needs, and time tracking needs that Deltek supports. It's easy to integrate into our business. The functionality for Mac users vs. PC users. It's more robust for PC users, therefore people who have a Mac need a Virtual Machine to access everything the platform offers. There are a lot of platforms out there so do your research to figure out if Deltek is the right one for your business. Deltek has a lot to it that many businesses may not have a need for. Managing timesheets, project tracking, accounting, reporting. "Great middle of the road time sheet and expense report application." The ability to differentiate between the projects that have been worked on and the time spent on each is excellent. The expense reports can also be project based which allows us to separate client billing and invoices. When differentiating between projects, there are certain areas, "tasks" that can be used for billing and it does make it hard to not customize how one separates the work. The expense report area of this application is rather tiresome with the amount of time needed to set up, review and attribute to a project. This is a great middle of the road expense and time sheet program. If you have multiple projects and expense reports that need to be submitted for approval or you are approving them, this works great. It starts to get a but muddled whenever you need more detail because the use needs to manually type in the information and can sometimes be inaccurate. "Configurable, customizable fully integrated solution"
The ability to make Vision meet our needs, branding and goals. We can access it without the firewall allowing end-users to have the information at their fingertips. Sometimes the customer service support individuals in the first level do not understand the question and you need to push to be elevated to higher support individuals. Ask the questions specific to your firm, provide examples of what is needed and request to see mock-ups of what the system can do. Determine if this is designed within the system or something that requires customization by their team. We have consolidated multiple self-built systems into one integrated database. We are reducing to this day the number of Excel or other non-system generated reports. We've not started focusing on what can be done and how the system can be an integral part of how we move forward. "Deltek for managing multiple tasks"
I am currently using Deltek Vision for my timesheet, tracking projects, tracking clients, as well as tracking leads. I think my favorite area is the Leads module. We were really struggling with how to track our leads and were actually using spreadsheets. We now have everything located in the Leads module and it is working great. Love the easy reporting to. No dislikes really. The system has some quirks, things we have had to learn and figure out along the way, which is mostly user error/user experience. We had to figure out which fields to make mandatory, and not, to help us stay efficient when updating leads in the module. We are now able to track our leads easily and quickly and efficiently! This solved a huge issue for us as we had no way to manage this process. We were using spreadsheets. Multiple spreadsheets for different types of assessments and service area. Now that everything is in one place, it is neat and organized with great reporting! "Great database, better interface could be implemented"
I love being able to work with the database where I can put all of my information for each project. The search is decent so long as all the information is added. I do freelance consulting and I am off and brought in offsite to work on data bases. Deltek is particularly easy to connect to remotely. The interface could be a little cleaner. While trying to input data with a new firm, I found that sometimes projects don’t show up unless the person who initially input information remembers every field, and this can cause back-and-forth email frustration to get someone to add info so I could add additional info. The other thing I have found is that it’s a rather difficult process to add contacts. Unless the interface has been changed in the past few weeks, you have to add a contact under the contact us tab before you can actually add it under say a proposal or company ta The other thing I have found is that it’s a rather difficult process to add contacts. Unless the interface has been changed in the past few weeks, you have to add a contact under the contact us tab before you can actually add it under say a proposal/project tab. I felt like I was wasting a lot of time going back-and-forth especially when many of our projects with different firms have different contacts and they are initially listed with the firm. But, as I mentioned earlier the database is only going to be as good as the information entered and if it is entered correctly from the beginning the process gets a little fuzzy. In AEC it is important to have all firm information and product information at ones fingertips. Deltek is a great database for storing all of that information. I also like that it can move beyond marketing into project management. I dislike that is only runs on Internet Explorer. this product should not be limited to a single browser. "A good software, hard to learn, limited support"
I work with the project side of Vision more often than the accounting side. The style is old, but the new version being released later this year should provide a more modern look. The software is primarily sold through consulting companies that will help you implement the software, and modify to you business needs. Problem is you're forever stuck with the original consulting company. Ours was horrible, copyrighted changes we requested and paid for, now when something goes wrong with their modifications we have to pay to have them fixed. We can't go to a better company because of the contractual agreements Deltek is allowing. This is why I can't recommend this software to other companies. Because of our negative implementation and consulting company issues we only use part of all of the software. Our senior management team has been so unhappy about the implementation they won't OK time or resources to expand the capabilities of the software. There's a lot of flexibility and customization you can do for your particular firm. If you have someone who is willing to dive into it, there's a lot you can do internally without having to hire a consultant. The development sometimes stops short of being fully functional. To work around it, you have to create more custom fields which just clutters things up. The next generation of Vision (DPS) looks more like what we need and would fix a lot of the user friendly issues we find with most of our staff. Being able to access the database directly to create queries for data QA and reporting. Being able to schedule recurring reports - Vision works for me even when I'm not at work! Accounting and CRM link to each other seamlessly. Bittersweet - Vision is being rewritten into Deltek Professional Services. I'll need to relearn, however, the upgrades should be fabulous. Get involved with user groups! Building relationships with CRM. Improving follow up on Opportunities, that increase sales, that increase revenue and being smarter to increase profits. "Great product that listens to the industry and delivers what it needs." This is a full service project that can provide both back office and project managers detailed information about the financial status of any segment at any time. The schedule of implementation for the new and improved can be more aggressive than I'd like at times. I'm really concerned about my back office going away in the next year with the scheduled upgrades. I'm sure my concerns will go away once I can see the demos of my new reality. This is a great product truly designed for a cost accounting on project based system. Project managers have hard numbers about their projects. This empowers them to take ownership of their work. There is no way to hide the success or failures financially. I like how Deltek Vision provides comprehensive functions of project management in one program, including time sheets, expense reports, budget/work hour planning, accounting, etc. Managing work utilization through Deltek is very helpful especially when you have staff from different geographic locations working on a same project. It keeps everyone in the loop of who is assigned how many hours on what specific task of a project at what billing rate. The reporting function is helpful in checking the progress of the project - you can see how much of the budget is spent and who spent how many hours on which and which tasks so far. It also keeps record of the projects that each staff has worked on, which helps in building a resume for them. It is not so intuitive. You will need about one day's worth of training if you are to use this program as a project manager. There are lots of functions, which is great, but you can't figure them out on your own. It is a great product for managing professional service projects. I would strongly recommend my peers to use this software. I use Deltek Vision to manage my projects. It is an indispensable software if you want an easier and more effective ways to manage your projects from start to finish. "A little funky and out dated"
Time and expense management is easy if you use a computer on a daily basis. However, field employees have difficulty signing in and entering time to the right jobs. Overall, the system's appearance is very outdated. We're talking pre-Y2K here outdated. There are too many fields required and we've worked with Deltek to get that consolidated to only what we need. The program also seems confusing when searching in the search bar for employee name, instead of a drop down it takes you to the first "Smith" record. I really don't like this program. We've hired a few new team members to our accounting staff who agree the system is outdated and has it's limitations. We use this for time & expense and all accounting needs. Seems really out dated. Hopefully making a switch soon! "Deltek is Hands-Down the Best Accounting Program"
We use Deltek Vision for our timesheets, managing project budgets, accounts receivables, and invoicing. I love how easy it is to generate custom reports for all of your project needs. Deltek Vision is a very powerful program that I would recommend to anyone needing a reliable accounting program! We found it that Delteck Vision was lacking in the expense report department. We use Concur for expense reporting because the interface, mobility, uploading of receipts, and ease of programing was better. Deltek Vision is a great program for all of your accounting needs. I have worked any a couple of companies and a majority of them use Deltek Vision and have switched from other timekeeping programs like Oracle. We have used Deltek Vision for about 85% of our accounting requirements which include: weekly timesheets, managing and tracking projects, creating custom reports and preparing invoice cover letters for our clients. "Using Deltek to log in hours worked"
The best aspect of Deltek is signing on with the phone. I am unable to carry my laptop with me all the time - I commute from various places and occasionally forget to log in my hours during the work week when things get busy. The feature I least like is having to type in the project code and location specifics when logging hours. Sometimes I expect the project codes to be there for me to automatically select, similar to how a computer holds the information for login. Perhaps I am unfamiliar and just have not found it yet thus typing it in every time. Suggest this to your supervisor to you are able to log in hours through your phone instead of through the computer. There are no business problems I use to solve with Vision. It is for strictly logging in hours when the loaner laptop is busy. "Deltic Vision in the Gov CON Space"
For beginners, this is a very user friendly system to navigate. It does have limitations, but nothing that isn't easy to correct! Reports are very hard to export. They do not line up when exported to excel, so we spend time formatting. We have solved many reporting challenges by implementing our own project reporting module that is a stand alone of vision. We are able to import data into this report and create it to look how we need it to for our customers. It has definitely cut down on the manual time spent in the past that we used to spend to create one report. Now we can create hundreds at the push of a button. All of the information you would ever need is there, however it is hard to learn, and the online tutorials aren't easy to apply to live usage. I'm sure it is a great product, but you need a lot of time and effort to learn how it functions. It was really hard to learn, and even after 6 months I barely could navigate through it without asking for help. Just make sure you are good with programs like that. A new person coming in to use a program is difficult, so be sure to have people who are familiar with it and that are willing to help you learn. The company I worked for switched over to it, but kept their old program as well, so I'm not sure if anything was solved. "Vision User for a decade"
Being able to access the database directly to create queries for data QA and reporting. Being able to schedule recurring reports - Vision works for me even when I'm not a work! Accounting and CRM link to each other seamlessly. User adoption is difficult. It takes time to learn the details. Tracking new business. Creating standardized reports that are delivered directly to the appropriate person on a consistent basis and reviewing the overall report with teams weekly and the group monthly have increased the amount of closed sales. Closed sales lead to work and more work leads to increased profits. "Accounting and time tracking in depth"
Deltek provides excellent time tracking, accounting features, reporting, and advanced features to provide a company status from a snapshot to in-depth reports. Very powerful sorting and reporting capabilities usable by accounting personnel, project managers, and employees in general. The user interface is not the greatest. A few improvements have been implemented over the years, however, there are a few desirable features left out. For example, resizing to fit the screen, active resizing of columns, and scrolling capabilities are not available. Steep learning curve. The capabilities Deltek offers are immense; take the time to research how it will integrate into your model. Once you deploy, making sure all records are input as accurately as possible will greatly simplify the process. Knowing the status of any of our projects is a critical aspect of business and is greatly simplified by the sorting and reporting capabilities Deltek provides. This is particularly important to PMs and accounting teams in our business. We've been able to add custom fields, and custom reports that are shareable across the organization. It takes some work behind the scenes, but deltek has been pretty good to us! Also, the expense portion has gotten better with time - since we've been able to have our credit cards feed directly into Deltek for reporting ease!! I really wish it captured point in time/historical data/I wish the workflow and approvals on things were a little bit more intuitive. We use it for expenenses, timesheet, and project tracking. We've streamlined processes to make our accounting department work smoother, and our project reporting better! "Specialized software for the architectural/engineering industry"
One stop shop from opportunity to project. Tracks everything from the cost to getting t the project to "what-if" scenarios to managing resources as well as project and human resources management. Can be a bit overwhelming. Especially reporting. Too many options can create information overload. Take advantage of training and user groups. Don't struggle on your own. Primarily used for billing projects. Timekeeping and payroll models as well. "One Stop Data Collection and Mining/Refining"
It is a straightforward interface that allows all ages and levels of employees, those that are technologically savvy and those who are just performing data entry level updates, to get the needed information into the system. This minimizes the need for technical support involvement. I'm not sure of all the filters and restricted access we have in place for the data entry and data mining as I typically contact our in-house "Vision Support" team. And, when I copy, paste, and update an entry, it moves down on my list of literally 100's of projects, and I have to go digging to find where it went from the top of the list where it was when it needed me to add information. Also, I like Vision's expense and timesheet modules when I used them at a previous firm, so I dislike we don't use them where I currently work. No knowing the cost for smaller scale installations, I would say this is a good and user friendly platform for firms looking to integrate information, timekeeping and expenses vs. a custom database solution. It allows our company to keep current track of all the necessary info on projects and employees for use in marketing and proposals. Quick searches allow us to find semi-parsed information that we can then weed out and narrow down to provide the info we need. "Great ERP for the AEC industry"
Project Based Accounting with complete General Ledger Accounting. Executive reporting for the marco level of your business and project reviews for the mirco part of the company. Great program for the AEC firms and Deltek for Professional Services looks like a great upgrade! This is a Project Based Accounting system that allows for tracking at the project level. "Great data extraction, could use an update to the screens and overall searches"
I like the way that Deltek Vision captures data at the right level for engineering. However, it does seem outdated compared to other softwares that I've used. The overall look of the screens and the use of the reporting could be smoother. In addition, the invoicing is a bit difficult if you are looking at what has been invoiced historically. There is no simply way to track back if you have written off or held effort. This is great for engineering. Be patient, though, as the learning curve is pretty long. I am able to run great basic reports to help me analyze data from many different angles. "Easy to Use and Implement"
I'm a new user to Vision (10 months using). I like the navigation panel and how it is easy to find different items. The transaction center and accounting functions are easy to use if you have an accounting background. Advanced features like workflows are great since they are ment to make your job more efficient. iaccess is great for non accountants. The visual interface if appealing to more visual users like designers. Certain items aren't easily accessible. You have to use search fields and run reports to get information. The help menu isn't that great but there is a lot more information on the Customer Care Website. The interface is difficult for non accountants to get used to. 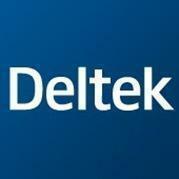 Great part about Deltek is that the product is being improved. "The "Do It All" Project-Based ERP"
Deltek Vision is loaded with tons of configuration options that allow me to tailor the software to meet our business needs. To get the most bang for your buck, you should have at least one person in-house that's dedicated to becoming a Deltek Vision subject matter expert. If you are considering Deltek Vision, check out their cloud offering Deltek for Professional Services. When we implemented Deltek Vision, we replaced multiple systems that were used to track our opportunities, projects, publications, time and expense, and approval processes. Also, we are constantly improving our ROI with process automation in each and every software upgrade. "Vision is our company ERP system"
The customization you can do in the software which allows you to increase productivity. The mobile apps which allows people to have info handy without to access the company's network. The report tools and dashboards. * The costly training to learn the software. It's a great software but to learn how to use it and get your ROI as soon as possible you need training and it's expensive. * Also, I've found that documentation is not properly reviewed. I found a document for version 7.5 that had something that I wanted to implement and it resulted that Deltek forgot to remove it from the documentation. That feature was deprecated in Version 6.X. * There is no too much information about how to upgrade Vision specially if you'd like to do the upgrade using your internal IT staff. Option to customize software to your needs. The ability to create dashboards with the info needed. The integration of the CRM module helps a lot. Currently, Vision is being used more as an Accounting software but we went through an effectiveness review process and we know that making the proper changes, training people and providing more access to users, will increase productivity and will allow end users to have the information available at any time. "Steep learning curve but great for projects"
I like the reporting abilities Deltek offers. Once I learnt how to do custom fields and how to effectively export reports it was very easy to pull project and people reports. The software has a wealth of information and good degree of customization available. Deltek vision is very "clicker- intense" meaning that you have to click on fields with mouse which is very old school. We are on the 6.1 version due to the complexities associated with upgrading the database. Ensure your accounting team is closely aligned with the project team because it is a big difference in how accounting is done. We are working in consulting, so many reports we needs are project driven. It is easy to find costs associated for projects. One place to collect all information. We started with the Accounting module and then added the Resource Planning Module which we depend on very heavily for planning our weekly staff workloads and for reporting. I have had resistance getting buy-in but after attending the Deltek Insight Conference last Fall I really feel that Deltek is on the right path. However, I have discovered from past experience with Deltek that they seem too focused on adding new features without fixing some of the major and common issues within the program. "Great program with lots of flexibility." Workflows for routine activities. Ability to customize info centers and track info we need. Selection limitation for some reports especially for graphs. Timely and accurate info to Project Managers. Ability to provide accurate pipeline info to management. "Good choice for focus on project management- US-based companies"
Consider this software as a strong contender if you need project management. As a general ledger, payables or CRM application - fair rating. Project management - reporting, workplans, staffing and billing. Application is geared to project management with a GL/ AP/ AR system as a secondary feature. "The Planning module is great for staying on track with original plan." Planning module and how only employees or are on the project plan can bill the plan - makes for less errors. The one thing I dislike about Deltek Vision is how in order to configure something you must make changes in multiple areas for it to work. It allows us to keep track of everything that has to do with our projects in one place. Set up automatic reporting to notify project teams about project status. I like how straightforward and easy this program is to use. It makes tracking my time each week very easy, especially when I charge to multiple projects each week. I wish it were a little easier to switch back and forth between different pay periods. It takes seconds to input and submit my time card each week, allowing more time to work on projects. planning, budgeting, performance management module, purchasing module, forced use of workflows for expense reports, inability to do line item rejection with notes on time sheets. Many project analysis reports are erroneous and cannot be resolved. I enjoy being Captain Kirk of the Starship Enterprise. I have all project information at my fingertips and can quickly and accurately respond to client inquiries - better yet - all of my team members have that same ability so we are able to offer seamless responses throughout the day! This ability makes us the heroes of our universe! I understand that some things - like start and end dates in Planning will be updated when we update - I am anxiously awaiting this feature. Our engineers are often in the field or out at meetings. When a client calls looking for project information, anyone on the office team can review information in real time and offer data and potential solutions. This makes everyone look good and keeps our clients happy. I love that Vision gives me the ability to store and classify our data in a searchable platform. I appreciate the relationship between info centers that allows me an insight into our company's information. I dislike that I cannot change static fields. I wind up creating more user defined fields that closely resemble what's already there to elaborate information to the level we need. Have a plan. An extensive plan and overestimate implementation time. Until Vision I hand keyed all information into Excel spreadsheets and corralled data into various folders. It's was painful and time consuming. Does so much for the A&E industry. Very flexible. Buy what you need when you need it. iAccess has been well received by users. The price for flexibility is complex setup and use. Need more videos on training so users can learn at their own pace. This should be included in the core application and not a add on. Great product. Hold off on moving to DPS Deltek For Professional Services until all the kinks are worked out. It is a complete package, dependent upon the options purchased. Increases cash flows, revenue assurance, ERP, multi company, multi currency, automates many routine tasks. "Rewarding to Utilize an ERP"
I like the customization that is possible through Deltek Vision. We've been able to build info centers that link to our essential company functions and then be able to report of data that used to be tracked through spreadsheets. The workflows are an amazing way to add user benefits too! We are utilizing workflows to autopopulate fields and processes. I find the Administrator side "tricky" at times, but also understand the robust functionality makes this part of the issues. I highly recommend consulting with a 3rd party consultant for an implementation. Our company is currently going through a re-implementation and learning so many things that would have aided our business processes sooner! We are solving the business problem of having more "real time" information and having it centralized. With multiple office location across states, information was housed on different servers, machines, etc. With centralizing data within Vision, we are creating consistency in our data gathering, storing, utilization across the company and also creating consistent processes. Benefits that we've realized is greater visibility into project revenue to evaluate profitability,. "Useful, but not terribly user friendly"
I like that everything is in one place. The experience is not intuitive and the interface is not aesthetically pleasing. I can figure out my way around it, but not all of my coworkers are. It's also fairly ugly. Look at other options first. We're working on hit rate currently. I've realized the reporting benefits. "Accounting platform for architecture firm"
Full access to financial records and project info from start to finish. There are a lot of great reporting features and options, that can be customized for each user. Would like to see better expense report submittal interface. The expense app is clunky and not intuitive. Tracking budgets of all sizes, for both in house labor and external consultant costs, as well as non labor costs. "We currently use Vision and Vision CRM"
I like the fact that everything is linked together. You can easily look up things. Also, like that you can easily build user defined info centers and fields to help with non standard processes. Some of the limitations. Hopefully Deltek is working on these in coming upgrades. We use Vision as our total solutions package. We try to put everything in Vision before looking at other programs. "Powerful resource with UI problems"
If used correctly, Vision can be a very powerful tool for Customer Relationship Management (and more). Useful features include the info center, calendar/activities, time&expense reporting, utlities, and training materials. While CRM is where vision is most robust, the 'best' feature is reporting. The user interface leaves a lot to be desired. It is fairly confusing to use and requires significant training to become a power user. The search function is not always reliable. It can be difficult to get buy-in due to these issues. Consider options that tout easy-of-use and intuitive features. CRM and accounting are the main features utilized. "Easy to use if setup properly"
almost too much functionality that it's overwhelming. Seems like it takes a lot of IT support to administer and keep running at optimimum performance. Frequent outage periods/server reboots for error fixes. Vision allows you to design workflows for specific needs your firm may have. Wish the software was a bit more intuitive for the novice user. Our most recent business problem was dealing with projects that were over budget and missed deadlines, with the iAccess Project planning we have realized greater project profitability for the last two years. "Not as user friendly as expected"
Simple layout and colors. Not fancy. Easy to read when you find things. Just isn't very modern looking. Kinda dull. Takes a bit of searching to find things I need. It doesn't really change much. No big updates in many years. I am a user, not an administrator. I find it semi-user friendly, I have no opinion on it beyond that. * We monitor all Deltek Vision reviews to prevent fraudulent reviews and keep review quality high. We do not post reviews by company employees or direct competitors. Validated reviews require the user to submit a screenshot of the product containing their user ID, in order to verify a user is an actual user of the product.